Advanced Search Engine Optimization (SEO). Manufacturer Compliant designs with automatic integration for incentives & rebates. Designed to stand out from your competition. Next Generation Responsive websites give you full content on mobile phones and tablets. A better quality lead with iSpy customer data. What does it mean to be responsive? The same content on your website is seen on your computer will be the same whether you are viewing your site on a tablet or mobile phone. No alternate mobile sites period. Your customers shop on a multitude of devices. Our website platform offers the most advanced responsive platform by offering responsive websites with server side elements (RESS). Search engines rank responsive websites higher in search engine results. Your customer expects it. Simply put, we deliver a graphical user experience that is optimized for any desktop or mobile device and display all content on the website on every device and help the customer find you first. 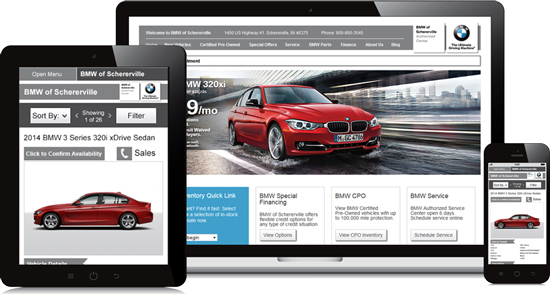 In today’s world of OEM mandated websites, you and your competition all start to look alike. 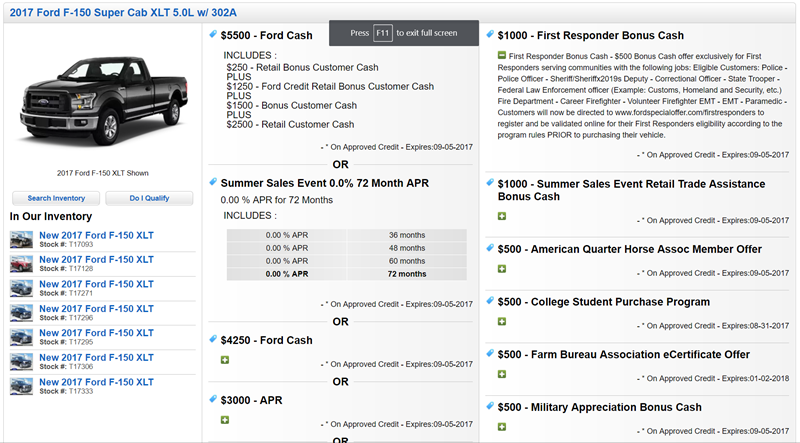 We offer dealer websites that can set you apart from your competition. 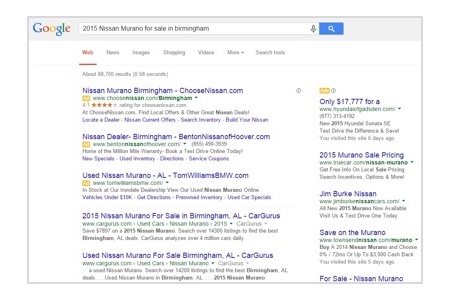 Say “No” to cookie cutter and “Yes” to a website that’s as unique as your dealership. We are a certified website provider that follows the guidelines set forth from the manufacturer. Any vendor can build a website – but building it and keeping it compliant is a completely different story. 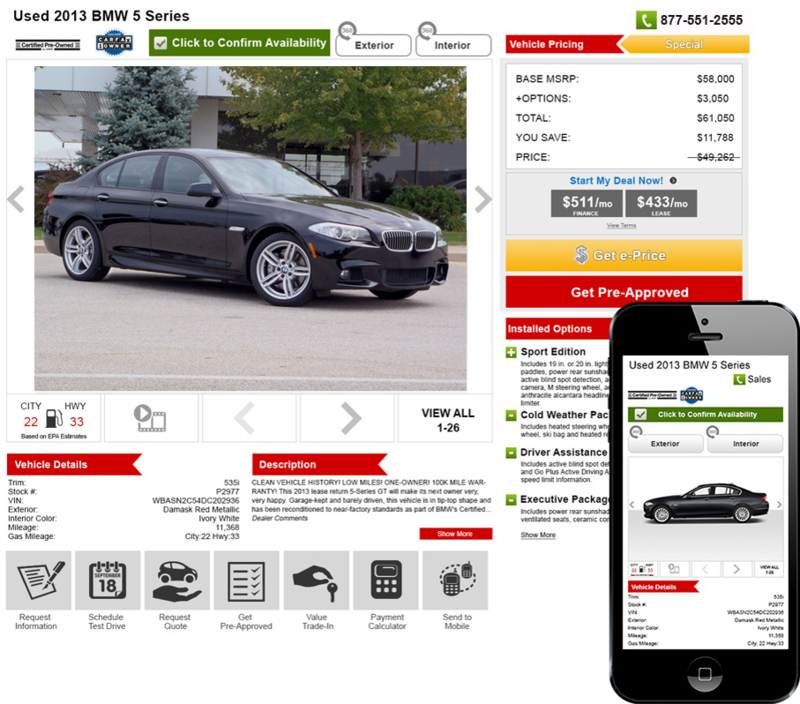 Enjoy custom dealer website design that is compliant at the same time. Automate your pricing with OEM Rebates deducted automatically from MSRP or a price you provide. Integrated OEM rebates and incentives automatically update. As a 5-time award winner in the category of Search Engine Optimization, you can rest assured that your website will have the highest SEO rankings available on Google, Bing & Yahoo. Our SEO specialists are constantly working to keep up to date with the latest best SEO practices. Why wait 24-48 hours for your latest pricing or photos to update on your website? 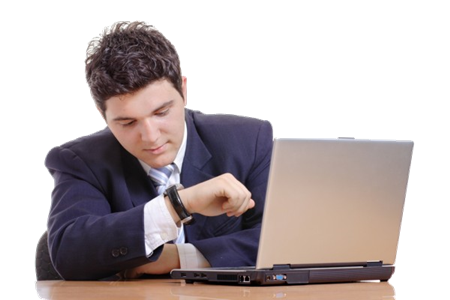 For AutoUpLinkUSA customers, website updates run every 2 hours getting your inventory advertised as quickly as possible! No more waiting on a pricing correction or update to take effect sometime the next day! Imagine knowing every move a customer makes on your website. 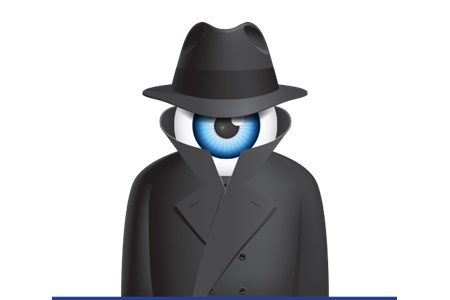 Dealer E-Process’ iSPY is a REAL-TIME digital magnifying glass, identifying customers’ vehicle interests and activity. iSPY sends alerts to your CRM at the moment customers are navigating your website, giving you the perfect opportunity to make your connection. Fully responsive Vehicle Display Page with large photos and easy to see vehicle options. Simple pricing and payment display options, manufacturer incentives, and similar vehicles displayed right on the VDP. More calls to action mean more leads. A flexible page layout allows you to position content for what's important to you.